Stephen Norman John O'Keefe is a 33-year old Australian bowling all-rounder, who is hailed by many as one the most unfortunate spinners in the Australian cricketing arena as he has been left out on many occasions despite having impressive domestic figures. O'Keefe was born on 9 December 1984 in Malaysia. He is a slow left-arm orthodox bowler and a right-handed batsman. Not a massive turner of the cricket ball, his strength lies in accuracy and flight. He is also a solid lower order batsman. Steve O'Keefe started playing cricket while he was in the Richmond High School and developed a knack for the game. He was the leading wicket taker for Australia at the 2003 ICC U-19 World Cup with 10 wickets in eight matches at 15.60. He made his first-class debut for New South Wales against Tasmania in 2005 and contributed with two wickets. Surprisingly, O'Keefe took a break and did not play first class cricket for the next four years. He returned in 2009 and took 15 wickets in the season. He also scored 247 runs at an average of 61.75, including 2 fifties. In the 2010 season, he bettered his previous performance and took 26 wickets at 20.57, which led to him being picked for Australia A team. A good 2010 first class season saw O'Keefe making his T20I debut against Pakistan at Birmingham in July 2010. He performed well ending up with figures of 4-0-29-3, but it went in vain as Australia lost the match. He made his test debut against Pakistan at Dubai in October 2014, where he picked four wickets in the match. He continued to be in and out of the team as he has always been in the shadows of others spinners like Nathan Lyon and Xavier Doherty who have been majorly preferred over him. O'Keefe has always been there with performances in domestic cricket but has been mostly unfortunate and toiled for New South Wales relentlessly. With good performances in a couple of seasons of Sheffield Shield, he mainly rose to prominence in the 2013 season, where he picked an astonishing 41 wickets in 10 matches at an average of 20.43. He also scored 229 runs with the bat. The international debut did not bring consistency for O'Keefe. He played only one test in his debut series and his next test match was washed out at SCG. He played four tests across four test series and could not really come up with head turning performances. However, soon came Australia's tour of India in 2017 and O'Keefe was included alongside Lyon in the squad. In the second test match at Pune in February 2017, O'Keefe ripped across the mighty Indian batting line up in their own backyard. His match winning performance of 12 wickets for 70 runs in the match handed Australia a massive 333 run victory. O'Keefe could not really become Australia's first choice spinner with Nathan Lyon in contention and cementing his place gradually. 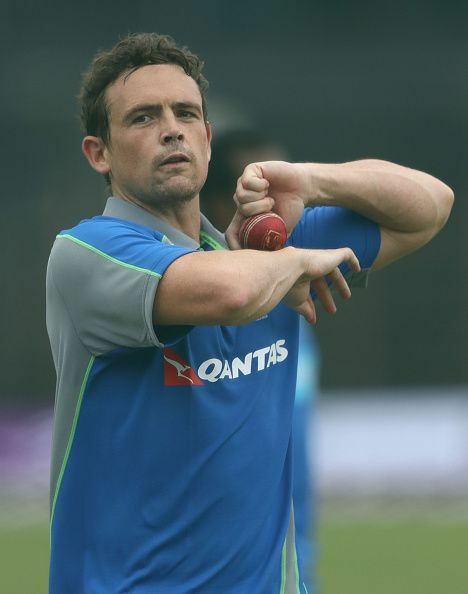 O'Keefe was chosen when a front-line spinner was injured. Also, O'Keefe has had many incidents mainly because of his behavior. In August 2016, he was handed a $10,000 fine by Cricket Australia and issued with an infringement notice. In April 2017, he was fined $ 20,000 and suspended for the year's domestic season after he made inappropriate comments made to a female cricketer at a Cricket New South Wales function in inebriated condition. O'Keefe has played only a few international matches. In nine test matches, he has taken 35 wickets at 29.40 whereas six wickets in seven T20I at 24. O'Keefe's 12/70 against India at Pune is the best figure by a left-arm spinner in tests in India and also the best haul by a visiting spinner in India. O'Keefe also holds the record with Peter Nevill for the lowest strike rate in a partnership in the history of the game. The duo tried their best to hang around and save the test match against Sri Lanka in Pallekele in 2016 while scoring runs at a strike rate of 0.13 which included just 4 runs off 178 balls.